Jim Marrs can justifiably be considered the world�s leading conspiracy author, with multimillion bestsellers like Alien Agenda, Rule by Secrecy, and the book that Oliver Stone used as a basis for his JFK movie, Crossfire: The Plot That Killed Kennedy. Now Marrs has allied with the web�s most popular conspiracy forum to investigate everything from chemtrails to the Nazis� Antarctic base, moon landing hoaxes to UFOs, God as an alien to the end of the world in 2012. 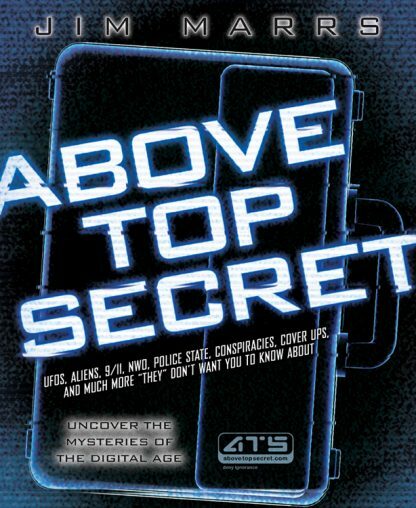 AboveTopSecret.com is the Internet�s largest and most popular discussion board community, with more than twelve million page views per month. It is dedicated to the intelligent exchange of ideas and debate on a wide range of �alternative topics� such as conspiracies, UFOs, paranormal, secret societies, political scandals, new world order, terrorism, and dozens of related topics. AboveTopSecret�s popular podcast is downloaded tens of millions of times per month. Marrs brings his rigorous journalist�s credentials to bear on these topics and more, asking (and often answering) the essential who, what, when, where, why, and how questions in compelling, page-turning fashion.